Plastic cover with finger grip. 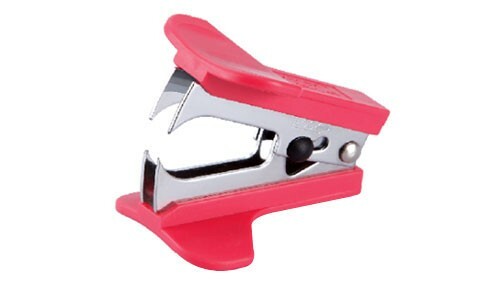 Suitable for staple - No.10,24/6,26/6,B8. Nickel chrome plated steel jaws for removing staples. Available with and without lock.